West Ham continued their impressive record against the top sides as they beat Chelsea 2-1 at Upton Park. The match was a heated display, as Chelsea had Nemanja Matic sent off, had five other players pick up bookings, as well as having Mourinho and his assistant sent to the stands. Mauro Zarate gave the Hammers the lead as Chelsea failed to clear a corner. Chelsea came within centimetres of equalising, as a Zouma header was scrambled off the line. Cesc Fabregas also had a goal ruled out before Matic recieved his marching orders. Gary Cahill equalised in the second half with a powerful finish from a corner, but Andy Carroll headed the winner with just ten minutes left. 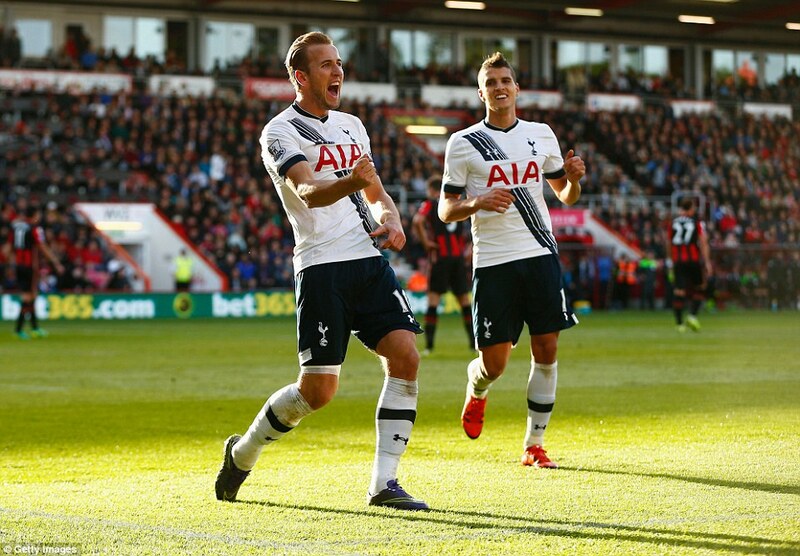 Harry Kane will hope his hat trick against Bournemouth will kickstart his season. Moussa Dembele and Eric Lamela also scored as Spurs recovered from a first minute Matt Ritchie goal to win 5-1. Sunderland continued their fine derby form, smashing 10 man Newcastle 3-0 at the Stadium of Light. Adam Johnson opened the scoring from the spot just before half time after Fabricio Coloccini was controversially dismissed. Billy Jones and Steven Fletcher completed the rout in the second half, lifting the Black Cats above their rivals. Arsenal beat Everton 2-1 at the Emirates. Olivier Giroud opened the scoring with a deft header, and Laurent Koscielny doubled the lead two minutes later. Ross Barkley pulled one back before half time with a heavily deflected strike, but Arsenal saw the game out comfortably. Gareth Barry was sent off in stoppage time for a second booking. Both Ayew brothers scored as Swansea beat Aston Villa. Jordan Ayew gave Villa the lead, but Gylfi Sigurdsson equalised with a free kick. Andre Ayew scored in the 87th minute to give Swansea the win, which proved to be the final nail in the coffin for Villa boss Tim Sherwood. Troy Deeney netted his first of the season as Watford shocked Stoke. Almen Abdi completed the scoring as he took advantage of Mark Wilson being caught in possession deep in his own half. Jurgen Klopp is still searching for his first win as Liverpool boss after a 1-1 draw with Southampton. Christian Benteke thought that he had won it for the Reds with a powerful header, but Sadio Mane bundled in to equalise late on. Mane was subsequently dismissed after picking up two needless bookings in stoppage time. Jamie Vardy has now scored in seven consecutive games, helping Leicester to a 1-0 win over Crystal Palace. Salomon Rondon’s close range header saw West Brom to a 1-0 win at Norwich. The Manchester derby ended up goalless, a result that saw City stay on top of the table on goal difference. This entry was posted in Football and tagged Arsenal, Aston Villa, Bournemouth, Chelsea, Crystal Palace, Everton, Football, Leicester, Liverpool, Manchester City, Manchester United, Newcastle United, Norwich City, Premier League, Southampton, Stoke City, Sunderland, Swansea City, Tottenham, Watford, West Brom, West Ham. Bookmark the permalink.